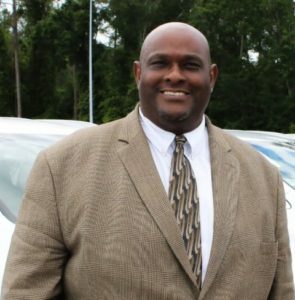 In April of 2017, Buck Murray was named General Manager for Kia of Tallahassee, bringing with him over 30 years of experience in the automotive industry. As a new member of the ZT Motors of Tallahassee family, Buck has been a wonderful addition to lead the team. Growing up in the Atlanta area, Buck knew very early what path he wanted to take. He began his career as a salesperson and was fast tracked to a Finance Manager position that ultimately led to his graduating from the National Automobile Dealers Association Dealer Academy in 2002. This journey has led him from Atlanta to Hawaii to Alabama and ultimately Tallahassee. “My vision for Kia of Tallahassee is to have a respected workplace and a place the community knows that they can purchase a vehicle and feel like they are an honored guest in our home,” said Murray. Murray also understands the value of serving the community that helps make the dealership successful. Being new to this area, his time during 2017 was spent learning about the different charitable organizations in the Big Bend area and how they support our communities. Organizations like The Salvation Army, 100 Black Men, Girls on the Run Big Bend, Pyramid Center, PACE Center for Girls and the Oasis Center for Women and Girls are just a few of the groups that Murray has proudly associated himself with since arriving in Tallahassee. With a mission to be one of the most innovative, integrative and responsive teams in the automotive industry, Murray is proving to be a standout leader. The dedication that Murray and his staff have to accomplish this goal is unsurpassed. Kia of Tallahassee will continue to grow in order to provide the highest quality of automotive sales and service to the Big Bend area. Buck has been the proud husband to Kyla since 1998 and the even prouder father to his 4 lovely children: LJ (18), Marissa (16), Rochelle (14), and Reyanna (6). Since moving to Tallahassee, you can find Buck and his family spending most of their Sundays on the coast fishing.